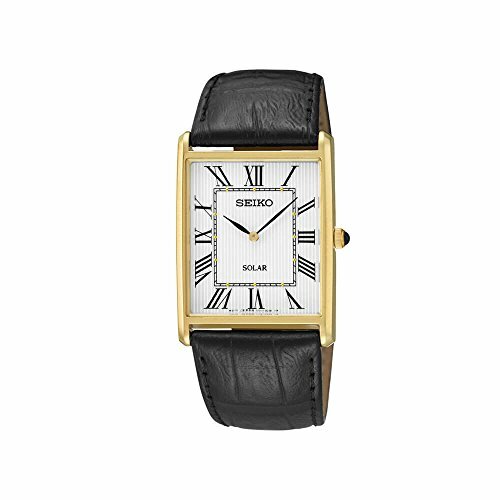 Treat yourself to matchless style and function with the Seiko Men's Leather Strap Dress Solar Watch. This beautiful timepiece boasts a built-in solar cell that uses high-performance electricity generation and energy-efficient movement to ensure a long power reserve. Meanwhile, the rectangular goldtone case contrasts with the white dial and supple black leather strap for a striking appearance you're sure to love.